In its first year WARMfest in Broad Ripple Park, Indianapolis, Indiana should be counted as a success. It was a great, and warm, way to spend my Labor Day Weekend. With six stages, one being a riverboat stage, this event was one of massive size and variety. I have been in Broad Ripple Park at least 20 times, and never realized how much space there truly was in my little town. WARMfest started off a bit rough on Saturday, getting rained out a few hours into the event. I feel as though the staff made a good call, as there were severe storms in the area, typical of the unpredictable Indiana weather. None-the-less, Sunday turned out to be a perfect day for a music festival. It was an eclectic crowd of old and young, but everyone seemed thrilled to be spending the long weekend hanging out in the park and listening to some great bands play. The Broad Ripple Vintage Art Fair was vending for this event and added to the eclectic feel of the festival. There were booths with old-fashioned popcorn, vintage clothing and furniture, and all sorts of knick knacks. Also, all of the local food trucks came to the festival giving the crowd so many choices of food. I started my Sunday off with a set from Jennie DeVeo, a curly blonde headed woman with a beautiful, mellow voice. She is a strong lead female singer, and brought a nice indie sound to the stage. I then wandered into a band that I have never seen before, but suspect might become a new favorite. Red Wanting Blue decorated their stage with all sorts of things like sticker covered suitcases, mini Darth Vaders, and a light bright with their emblem in it. It turns out this is band is a local Midwest favorite in the indie Scene. The 5 member band brought a happy, upbeat sound and got everyone in the crowd dancing and singing. Sunday night closed out with two great headliners, JJ Grey & Mofro, from Florida, and Big Head Todd and the Monsters. JJ Grey brought his soulful sound to the stage for a heart felt and heart warming set, where he reflected on some of the good times he’s had in Indianapolis in the summer. Monday I arrived just in time for one of my local favorites, Hyryder. This band is a Phish and Grateful Dead cover band, and played an entire set of Grateful Dead covers. I have to admit it was nice to hear some familiar tunes, and see the familiar smiling faces that happen everytime a Grateful Dead song plays at a festival. The weather Monday truly made WARMfest true to its name. It was a perfectly sunny and warm summer day, but that didn’t stop the crowd from having a great time, and being thankful that the rain from Saturday was long gone. Next up was a band all the way from New Orleans, Trombone Shorty and Oreleans Avenue. This funk band took the stage with tons of energy. The lead singer and trombone and trumpet player Troy Andrews took the stage to his wailing sax player with such energy. This was one of the most anticipated shows of the festival and the crowd was feeling it. The night was just getting started with Trombone Shorty. G. Love and Special Sauce and Michael Franti had yet to take the stage. G. Love and Special Sauce has a blues influenced sound that singer Garrett Dutton raps and plays the harmonica over. This is a unique sound that gets the crowd singing along right away. 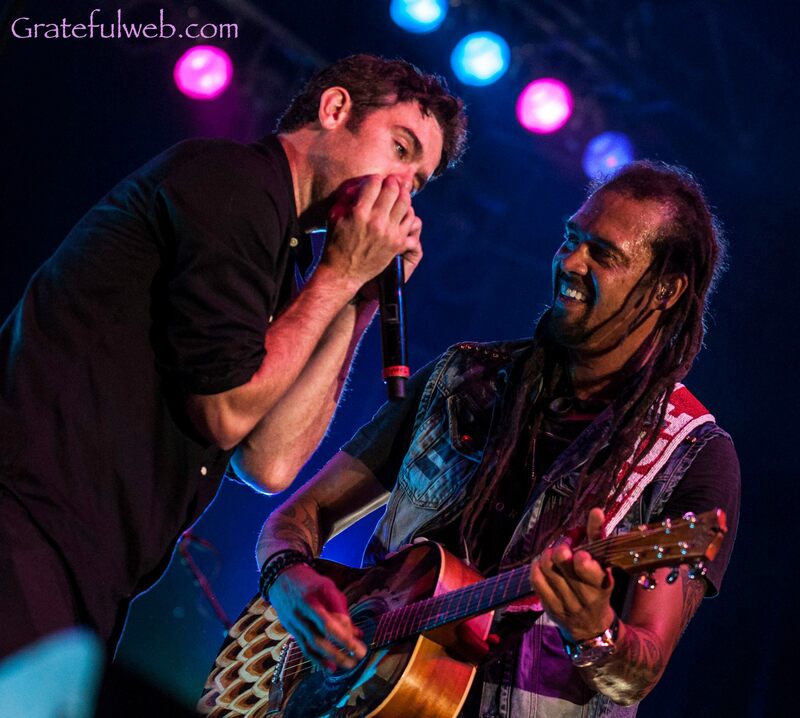 Michael Franti was perhaps one of my favorite sets of WARMfest. His energy cannot be matched by anyone else, and you can tell he truly loves all of his fans. His songs have a message of peace and love, which is very inspiring. He kept me on my toes while taking photos as he jumped off the stage several times to go into the crowd and hug his fans and sing to them. He threw huge pink balls into the crowd and it was a truly beautiful way to end a festival in its first year. 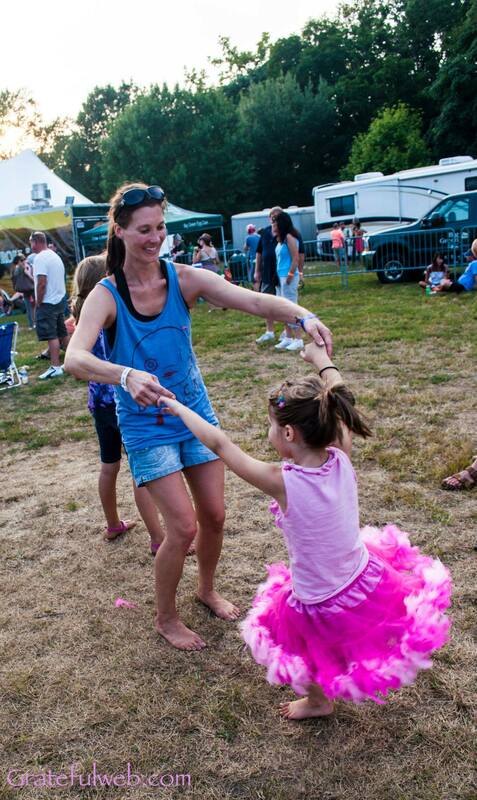 Check out more photos from WARMfest 2013.